During May 2017, South Korea experienced the hottest recorded temperatures since 1973, and the summer season began unusually early that year. Using computer climate models, researchers have shown that human activities played a large role in this extreme event. Their results were published in the Bulletin of the American Meteorological Society. The warmer May temperatures in 2017 were observed across South Korea, with the average temperature being 1.5C higher than the 1987-2010 mean of 17.2°C. Summer usually starts around June 2nd in South Korea, but in 2017, summer started eight days earlier on May 25th – the start of summer is calculated as the first calendar date when the daily mean temperature becomes warmer than 20°C. This was the culmination of four consecutive years of record-breaking May temperatures. “Early summer onset has wide-reaching impacts on human society and the ecosystem, affecting agriculture, health, energy, travel and leisure activities,” says Seung-Ki Min, climate scientist and the lead author of the paper. 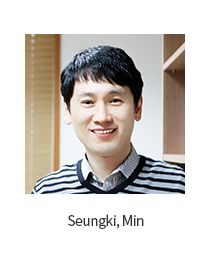 To investigate the possible cause of the rising temperatures, a team of researchers from Pohang University of Science and Technology in South Korea, and Oxford University in the UK, used complex computer programmes that simulate the Earth’s climate system, including atmospheric temperature, pressure, wind and humidity at specific locations. Based on mathematical equations, the models can predict how temperatures will evolve over time under specific conditions, such as greenhouse gas increases. The researchers simulated global and regional climate models many times to test the role of human influences in the extreme climate event. From large samples, they could compare the probability of the 2017-like high May temperature and the early summer onset in South Korea occurring with and without human activities that burn fossil fuels, which significantly increase greenhouse gas emissions. The researchers concluded that the warm May temperatures and early start of the summer season in 2017 were largely due to human influences, at least doubling the risk of the extreme events occurring. They also showed that the probability of an extremely hot May occurring naturally for four consecutive years is extremely low, corresponding to a 1-in-1000-year event. However, when human activities are included in the calculations, the probability increases to a 1-in-100-year event. The next step is to assess future changes in seasonal cycle as well as to investigate the physical mechanisms causing the temperature changes in order to learn more about how we might slow or prevent temperatures rising further in future years. previous Mussel glue helps stem cells affix and remain…New medical treatments anticipated for myocardial infarction and dam..